Gambling in South Africa has always been a big NO NO. Casino's were non existent except on our borders in places such as the Victoria Falls in Zimbabwe. For those who liked to have a flutter it was necesary to leave the country to do so. There were no lotteries except the Rhodesian sweep and if my memory serves me correctly it was illegal to send money out of the country to purchase lottery tickets. In South Africa the closest one could get to legal gambling was horse racing. With the the advent of Sol Kerzner and the Southern Sun hotels gambling was brought a step nearer as casinos were opened in the homelands which were formed on the borders of our country. South Africans rushed to these gambling hotels to have their bit of gambling action. Then in 1994 with the fall of the apartheid system and the advent of the new ANC government retrictive laws on gambling started to fall away. Small casinos mushroomed everywhere, all of them illegal. The police had a field day raiding them and destroying their equipment. In many instances the punters were arrested and faced charges of illegal gambling. Some got heavy fines and others got off scot free. After all the problems gambling caused many people the resolve to keep it out of the country finally collapsed and new gambling laws were promulgated and casinos were eventually declared legal. The race was then on to get casinos established in all the major centres of South Africa. 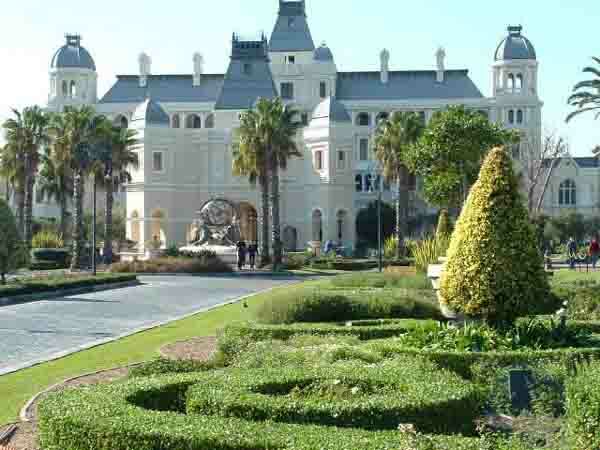 The first casino to be built in Cape Town is the Grand West Casino. 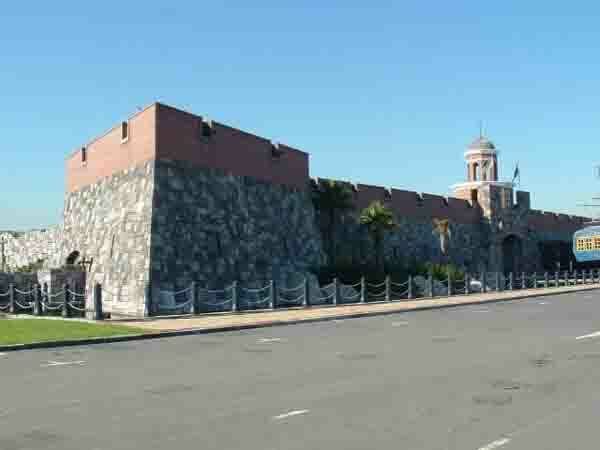 It has been built on the site of the former Cape Show grounds and what an improvement it has brought to this once dilapidated area. Where there were tumbledown old buildings and rotting stables there is now a series of modern buildings and beautiful gardens. 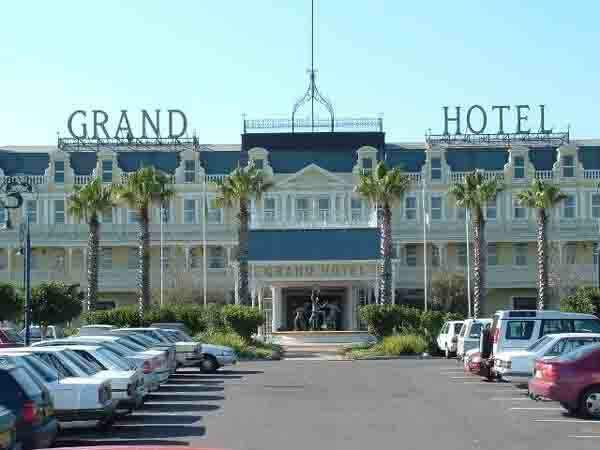 Grand West is the biggest casino in Cape Town. It has hundreds of slot machines housed in smoking and non smoking sections. All the slot machines are electronic and only accept gambling cards and banknotes. (No messy coins falling when you hit the jackpot) Other than the slots there are the various tables for Black Jack and other games. 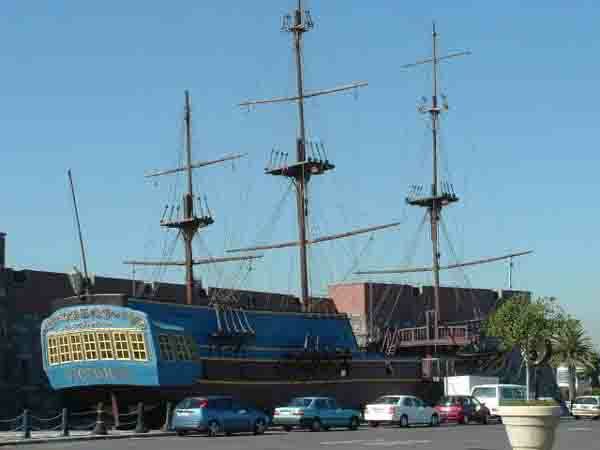 Grand West has many other attractions as well. A number of restaurants and a revue bar have been built within the complex. The restaurant area is designed to look like Cape Town's famous District Six at night. Some of the well known streets and buildings that were found in District Six have been reconstructed inside the restaurant area. For the kids a there are a number cinemas and an olympic size ice rink to keep them busy. An indoor garden near the ice rink is absolutely stunning. The displays change with the seasons so that the flowering plants of the season are on show. This must be seen to be believed. Another attraction is the replica of a Castle which houses the games for the younger people who are not old enough to gamble. Included is an outdoor race track with miniature racing cars. The race track is popular with adults and kids alike. As an added attraction for the kids the yacht Victoria has been installed in a moat that surrounds the Castle. This yacht once ferried passengers around the Victoria and Alfred waterfront. Grand West is very central being about 15 kilometres from the centre of town. Accommodation is available at the Grand Hotel which has a facade from the 1899-1949 era. No doubt it has all the newest innovations inside to ensure modern comfort for its guests. A visit to this Casino even if you do not gamble is worth the price of the parking fee you will have to pay. See you there soon.